Winners of the Small School Sports Hall Athletics Competition! 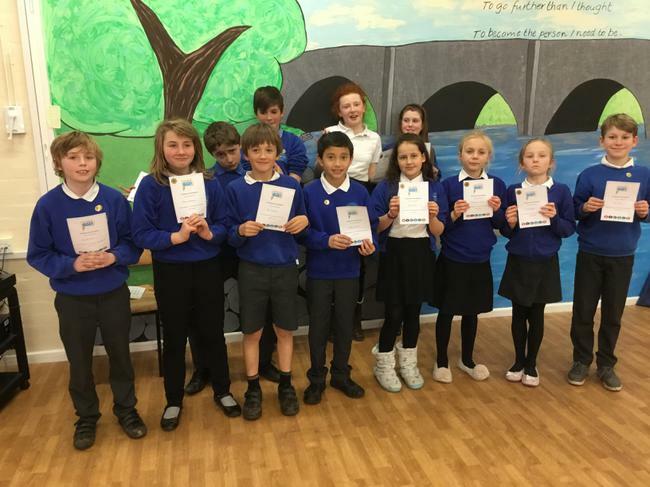 Yesterday a team of 12 children travelled to Weobley for an inter-school competition. After a long 24 hour wait we received an email today to inform us that we won the competition by more than 20 points! Well done to the team. This is the start of bigger things as due to our win we will now go to Hereford next month to take part in the Winter Games!